‘White Moss Rose’ and ‘White Bath’ are two very different Moss roses. In commerce today, these varieties seem confused. The flowers of the former are more a soft shaded pink than white; often the flowers are one half white and the other half pink. 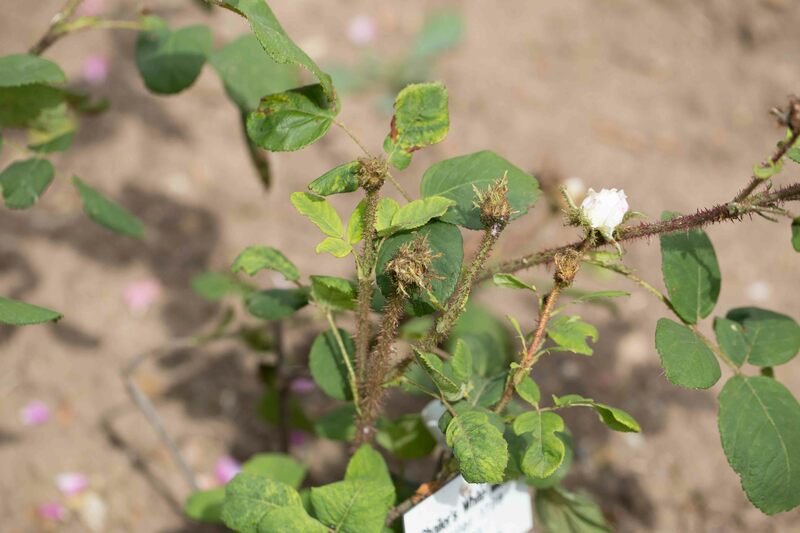 ‘White Moss Rose’ has blue-green foliage and is much less mossed than the pure white and well-mossed ‘White Bath’. Nonetheless is this older ‘White Moss Rose’ more widely grown and sold than ‘White Bath’. I have both roses in my garden and can only say that both these roses are worth growing, each with its own unique characteristics. But when in search for a pure white Moss, go for ‘White Bath’.